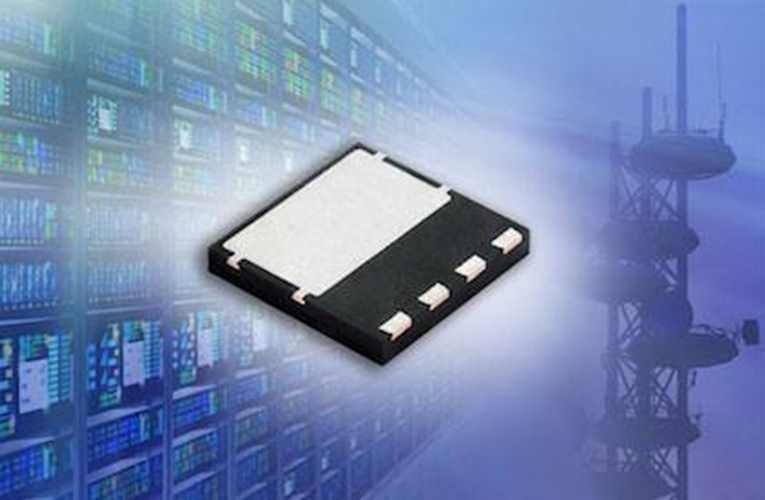 Vishay Intertechnology introduced its new fourth generation N-Channel MOSFET called the SiHH068N650E. This 600V E series Mosfet has a very low Drain source ON resistance making it the industry’s lowest gate charge times on-resistance device, this provides the MOSFET high efficiency suitable for telecom, industrial and enterprise power supply applications. The SiHH068N60E features low typical on-resistance of 0.059 Ω at 10 V and ultra-low gate charge down to 53 nC. The device’s FOM of 3.1 Ω*nC is used for improved switching performance, the SiHH068N60E provides low effective output capacitances Co(er) and Co(tr) of 94 pf and 591 pF, respectively. These values translate into reduced conduction and switching losses to save energy. The MOSFET comes in a PowerPAK 8×8 package that is RoHS-compliant, halogen-free and designed to withstand overvoltage transients in avalanche mode. Samples and production quantities of the SiHH068N60E are available now, with lead times of 10 weeks. You can visit their website for more information.